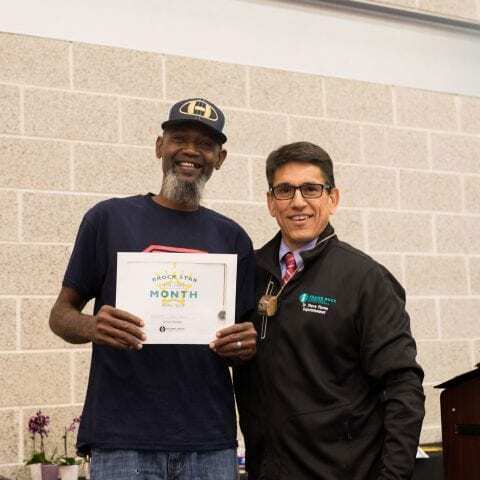 Superintendent Steve Flores, Ph.D. named Delvin Brooks, Round Rock ISD General Maintenance Lead, as the RRock Star for April 2018. As General Maintenance Lead, Brooks spearheads efforts to find solutions to campus maintenance related issues and provide students and staff with superb learning facilities. While serving the students and staff of Round Rock ISD, he continually answers any challenge with the phrase, “I can fix it” and also works to help students outside the classroom by actively volunteering as a youth basketball coach. RRock Star is a distinction awarded by the Superintendent to a member of the Round Rock ISD team who impacts students across our District.